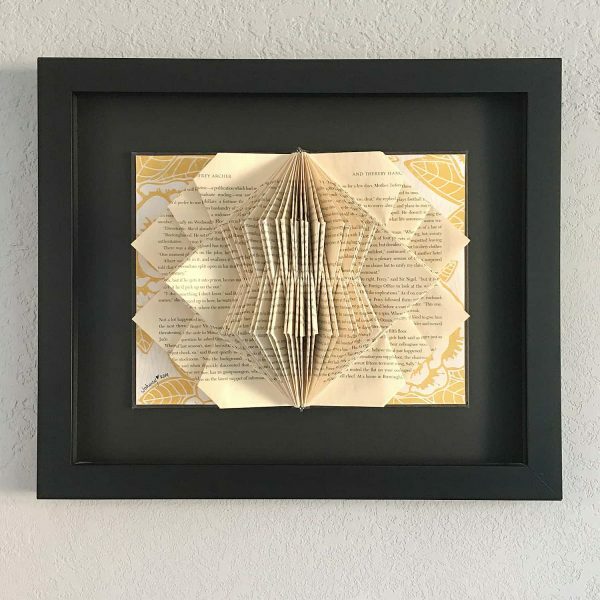 Using old and discarded books, I fold and cut the pages, going beyond the printed word and focusing on the book’s physical form, to create abstract sculptures which present a new way of “reading” the book. 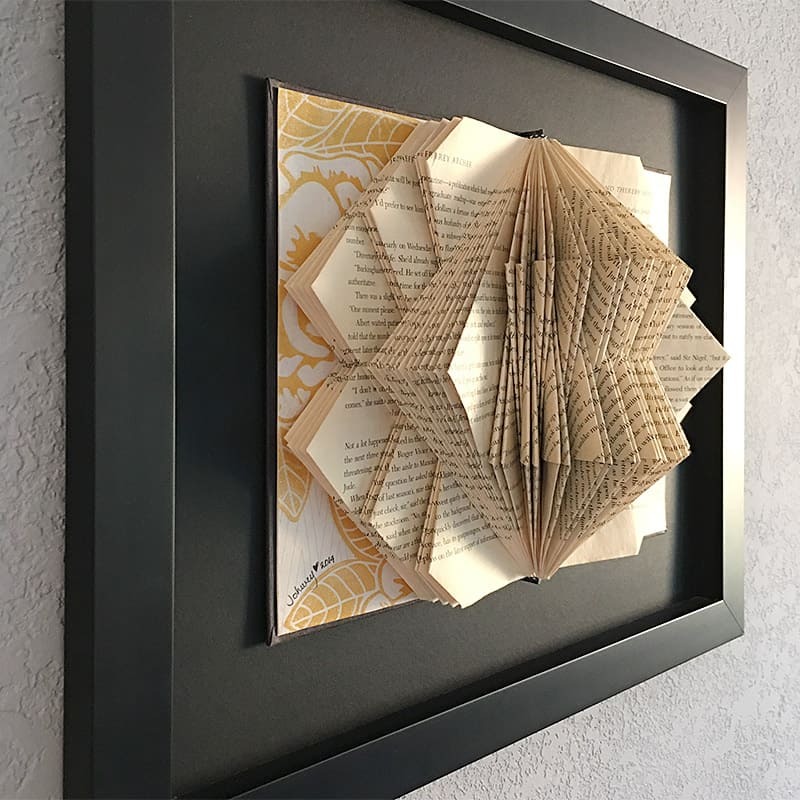 The text, peeking out of the folded pages, is reduced to an idyllic symbol as it blends with the book’s new form. This particular book sculpture was inspired by the Sydney Opera House designed by the Danish architect Jorn Utzon.